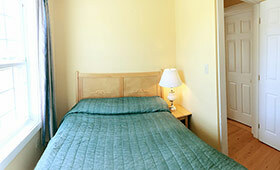 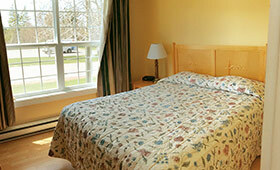 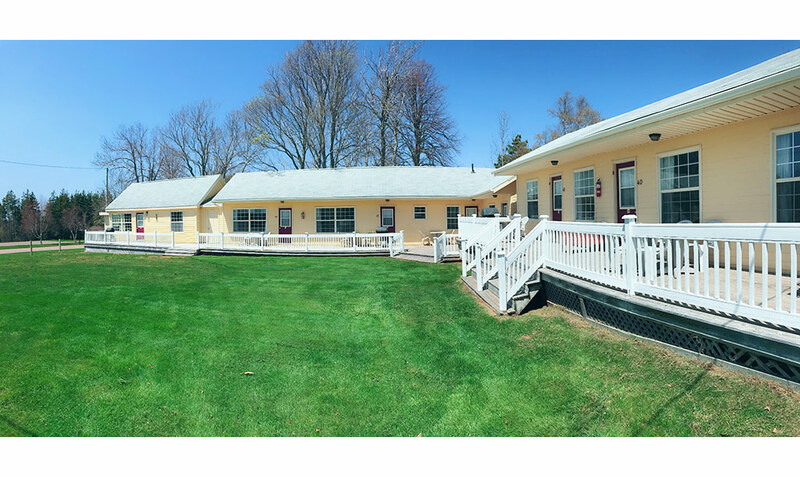 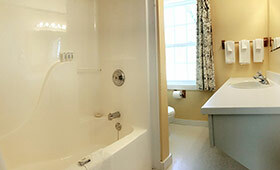 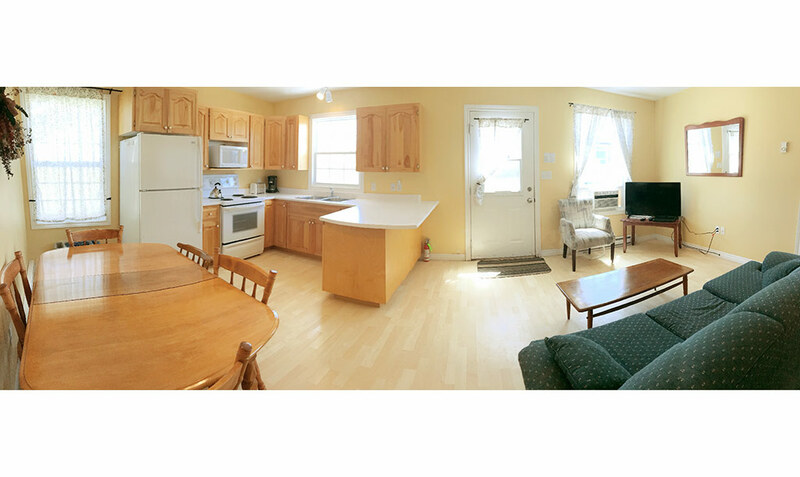 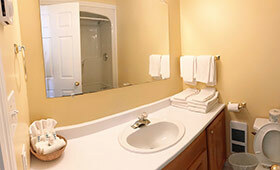 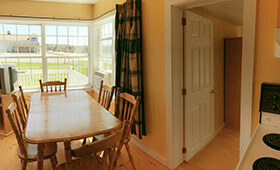 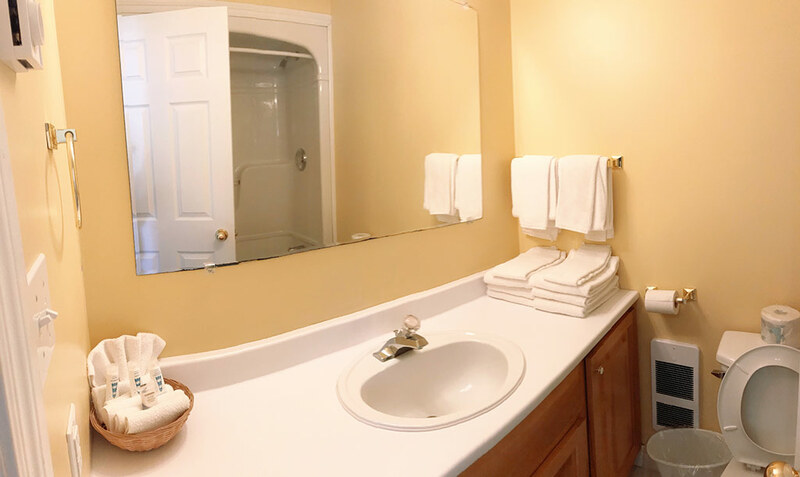 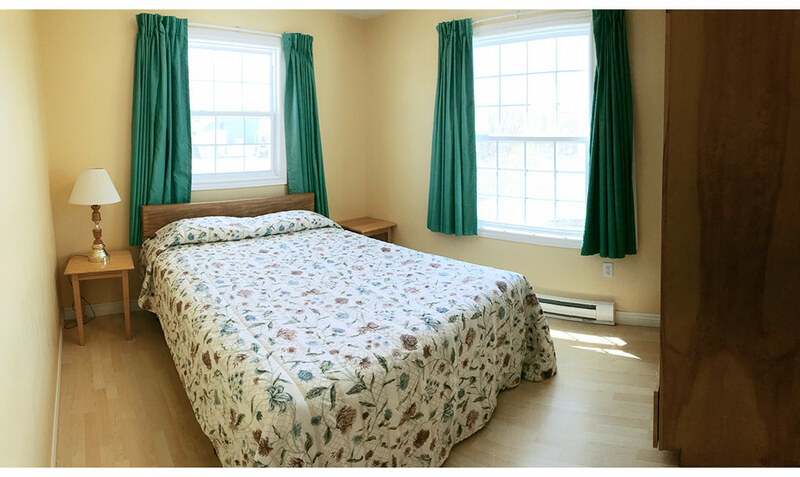 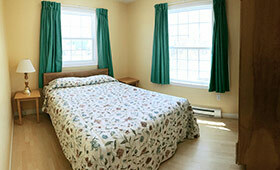 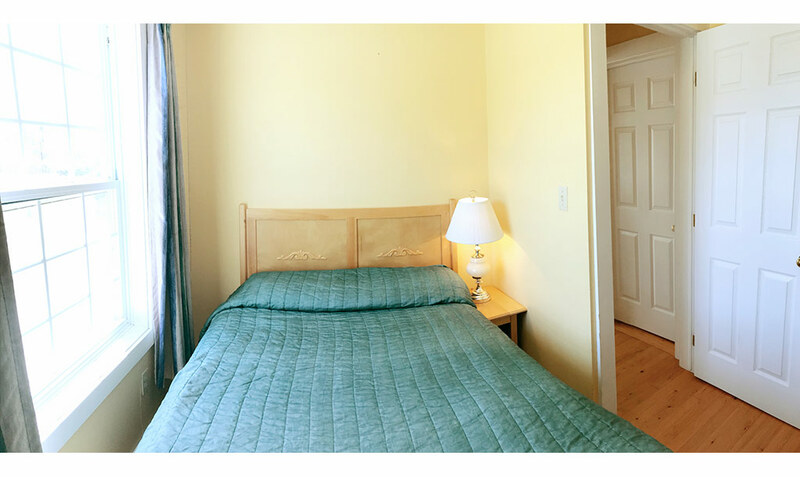 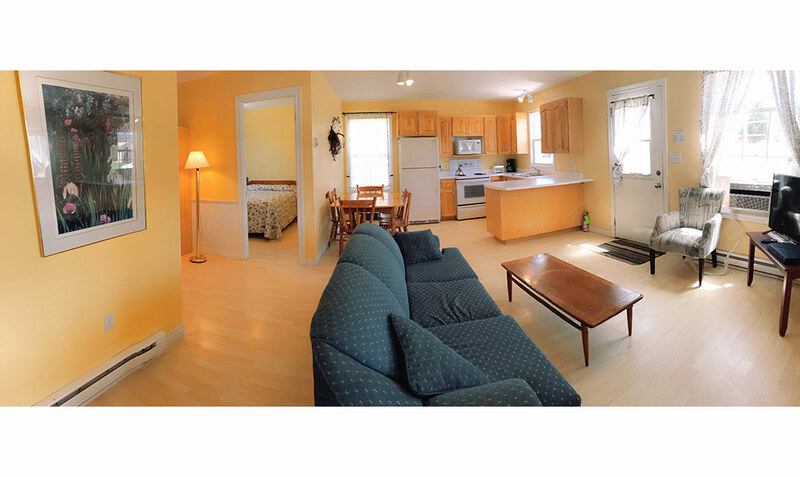 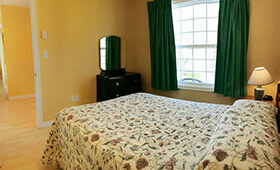 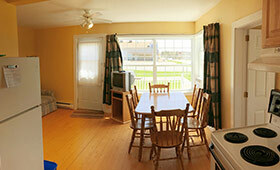 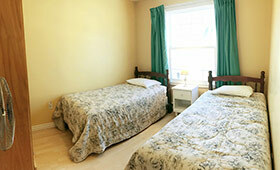 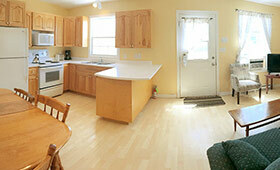 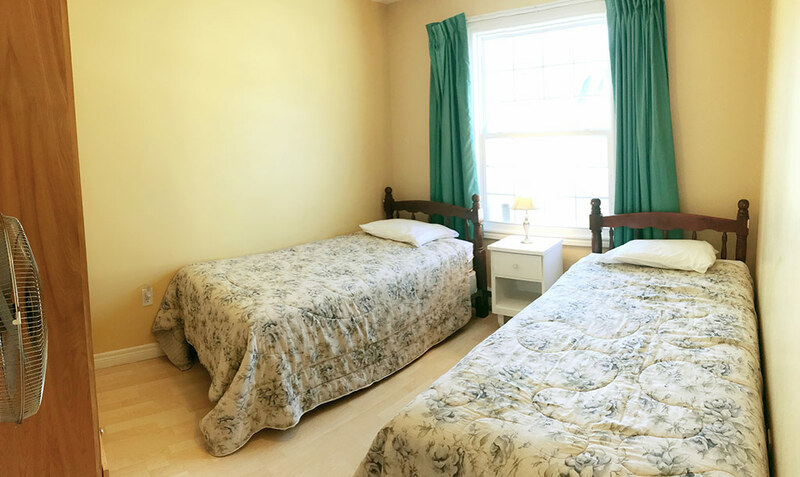 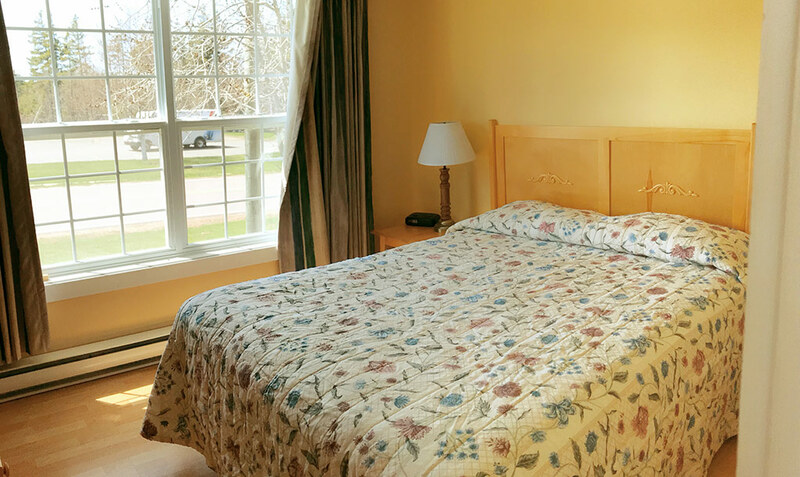 We have 2 three-bedroom cottages available. 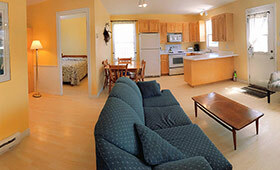 Each has a full kitchen, living room, 4 piece bath, big satellite TV, and air conditioning in the living area. 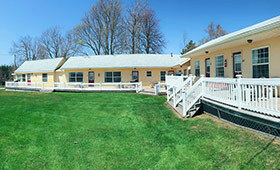 Each also has a deck with BBQ and outdoor furniture. 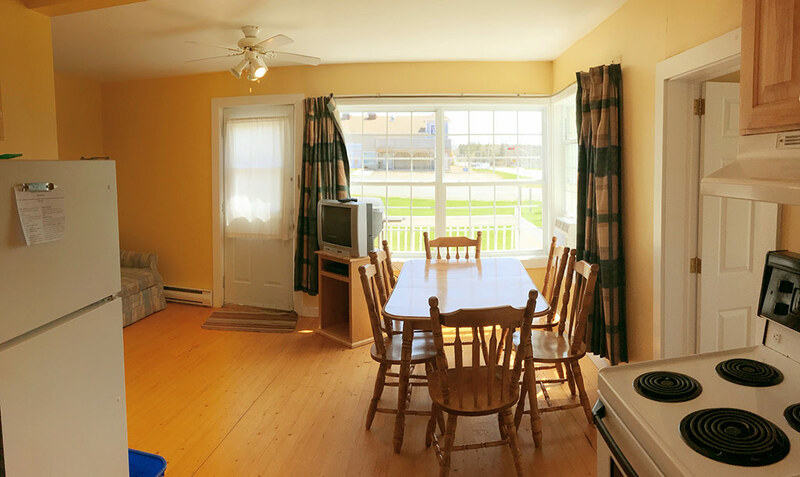 One of the cottages has a private deck while the other has a shared deck.